Found the “Snowflakes” on the internet and copied them. The fabric used for the snowflake has stars and snowflakes. My husband did the embroidery of the stars and snowflakes. 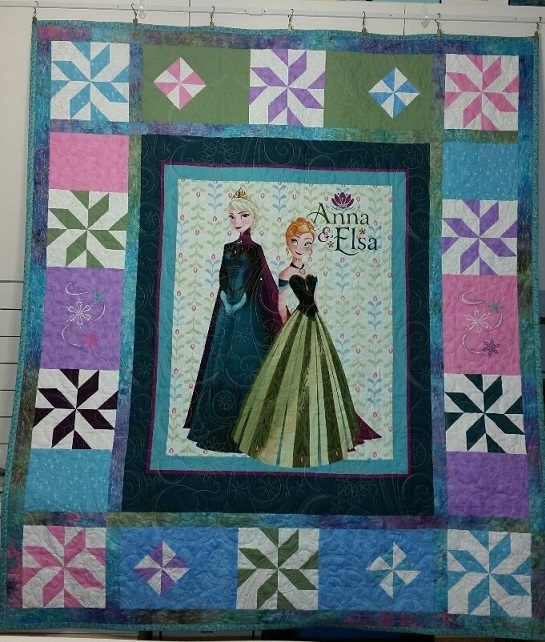 I had the finished product quilted by a local long arm quilter (Sweetheart Quilting). I really enjoyed the challenge of making this quilt.